Indulge in spas, seek out hidden shopping haunts and savor special events that capture the essence of the season. 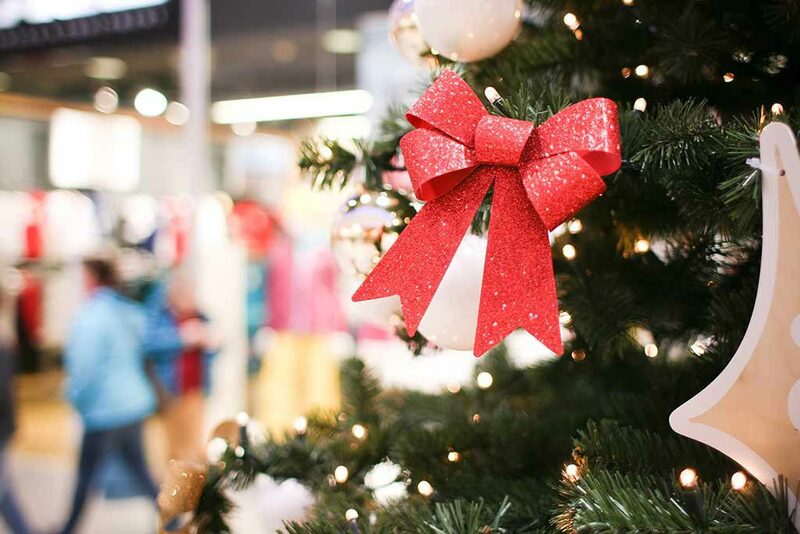 The most wonderful time of the year might more accurately be described as the busiest time of the year and sometimes the hustle and bustle can overshadow joyful tidings. This year, seek out a silent night in an unsuspecting destination—Atlanta, Georgia. While the big city offers conveniences like easy accessibility, high-end dining, hotels galore and second-to-none attractions, it also has a softer side of charming boutiques, locally-owned eateries and spas where even the busiest elf can recharge. Ease away holiday stress with a gift that’s all about you. These metro Atlanta retreats promise R&R to counteract the reindeer rush. Located just outside of Atlanta, The Honeycomb Cottage Day Spa (4044 Highway 42, Locust Grove, Georgia 30248; (678) 561-5585) offers a variety of replenishing treatments, from a calming facial to the Signature Honey Massage. Services like teeth whitening and lash application will have you looking your best for holiday parties, too. Shop ‘til you drop at Dunwoody’s Perimeter Mall and then rejuvenate at the Woodhouse Day Spa (4400 Ashford Dunwoody Rd, Dunwoody, GA 30346; (770) 377-3505) in all of its sanctified bliss. This award-winning spa boasts a full menu of over 70 rejuvenating services including skin care, waxing, sleep techniques, massage therapy and treatments specializing in body, hand and foot—all designed to help you relax, renew, and release. Unwind and give yourself a holiday time out to savor seasonal sips in metro Atlanta. Get away to D’Vine Wine Bar and Shop (5486 Chamblee Dunwoody Road, Dunwoody, GA, 30338; (770) 350-9463), named one of the best wine bars in Atlanta, for tasty bistro bites and a “Wall of Wine” lined by over 600 bottles. Part retail wine store, part cozy, romantic bistro; they feature over 60 wines by the glass and exclusive flavors perfect for savoring and gifting. 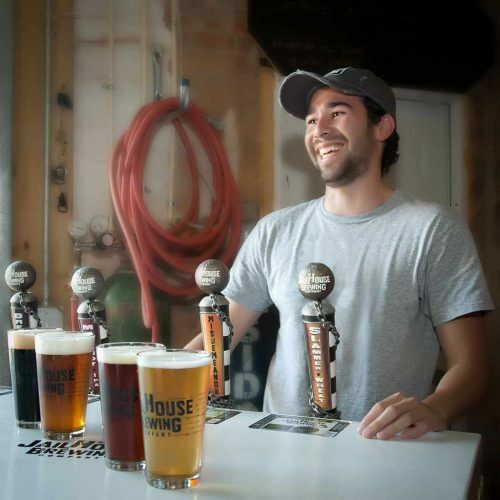 Meet up with old friends just off the main street in nearby Hampton for sudsy sips at JailHouse Brewing Company (8 Cherry Street, Hampton, Georgia 30228; (678) 734-3202). Pick up JailHouse apparel and a gift certificate for a brewery tour to check more people off of your good list before enjoying a tour and craft beer tasting in the old Hampton jail turned microbrewery. Making a list and checking it twice? Atlanta is basecamp for elves in need of gifting goodness. Shopping is truly retail therapy at these one-of-a-kind boutiques. From adorable home décor to must-have alma mater memorabilia, the Enchanted Forest (5580 Chamblee Dunwoody Road, Dunwoody, GA, 30338; (770) 399-1923) is full of irresistible keepsakes that are good as gold. This happy store is great for those unique gifts that are just as useful as they are charming. Think of Under the Pecan Tree (5482 Chamblee Dunwoody Road, Dunwoody, GA, 30338; (678) 694-8704) as the neighborhood general store where you can relax, chat with friends and find that perfect gift for a wedding, baby shower, christening, birthday, graduation, Mother’s and Father’s Day, anniversary or just because. Of course, there are also plenty of gifts and necessities for yourself. Save the date! For over twenty years, the Spruill Gallery (4681 Ashford Dunwoody Road, Dunwoody, GA, 30338; (770) 394-4019) has hosted the Holiday Artists Market which features over 100 local artists with a wide variety of uniquely made artisan gifts and home décor. Find a unique gift for that person who is always hard to shop for, or create something special like a fused glass cookie plate or wind chime for them at the Handmade for the Holidays Workshop. 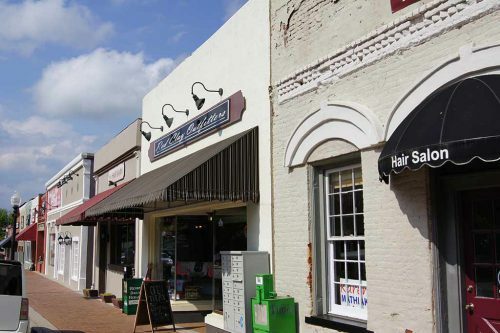 Hampton, Georgia, is conveniently located just outside the ATL and offers shoppers a little bit of everything in an idyllic small town setting. Start the day off at the Speakeasy Bookstore (26 E Main Street North, Hampton, Georgia 30228; (678) 641-7794) with a fresh cup of espresso before browsing their huge selection of pre-read books. Nearby, Atlanta Motor Speedway (1500 Tara Place, Hampton, Georgia 30228; (770) 946-4211) offers a gift shop open Monday-Saturday that’s full of apparel and collectibles from both Atlanta Motor Speedway and the world’s most popular race car drivers. Tickets and tours can also be purchased or reserved during the week from the ticket office next to the gift shop. For your fashion forward friends and family, Red Clay Outfitters (8 E Main Street North, Hampton, Georgia 30228; (470) 878-1055) offers Southern apparel, boutique clothing and accessories. For brand name and designer favorites at discount prices, check out Tanger Outlet Center (1000 Tanger Drive, Locust Grove, Georgia; (770) 957-5310) in Locust Grove. Pick up the perfect pair of boots or other western wear from Horsetown South (4583 Bill Gardner Parkway, Locust Grove, Georgia 30248; (770) 898-6330) before shopping for your four-legged friend, picking up homemade organic dog treats at Paws & Claws (3843 Highway 42 South, Locust Grove, Georgia 30248; (770) 898-2870). Embark on a holiday treasure hunt at The Grove Depot (236 Cleveland Street, Locust Grove, Georgia 30248; (678) 432-1200), featuring gently used home décor and furniture, from modern to antique (and everything in between). When your stomach is louder than the shops calling your name, head to The French Market & Tavern (3840 Highway 42, Locust Grove, Georgia 30248; (770) 914-9312). Browse the array of home décor items while waiting for a delicious lunch from a menu that features an eclectic mix of Southern and New Orleans cuisine. Don’t forget to order one of the French Market’s signature holiday cocktails. Make room in your schedule for events that capture the essence of the season. With all the rushing from place to place, visiting with family and friends, or them coming to visit you, simplify your holiday hosting with unique entertainment; take a movie tour! Atlanta Movie Tour’s new Hero Tour shows off all the Marvel superhero filming locations as well as others and the new Castleberry Hill Backlot Walking Tour gets you up-close-and-personal where film meets history. There’s no rushing, no pushing, no stress, just jump on a bus or lace up your walking shoes and leave the touring to Atlanta Movie Tours. Gift cards are also perfect for everyone on your list or as a special treat to say “thanks” or “good job” and can be purchased right from their website. Join in this beloved tradition, which began in 1967. Robert Shaw used to say that designing this program was similar to decorating a Christmas tree. This December, help the orchestra and chorus, the Gwinnett Young Singers and the Morehouse College Glee Club, unwrap your musical Christmas gift and see what seasonal delights await you! Enjoy a step back in time to the 1950s and 60s at the Old Douglas County Courthouse during this free exhibit. All the magic of Christmas glistens at the annual lighting of the 45-foot-tall live spruce tree with 10,000 white lights! The tree lighting will take place at 7 p.m. Enjoy Roswell during the holiday season as history comes alive, tours are abundant, and the city festively celebrate its art and culture. Bring the whole family and get into the Christmas spirit with a new and upgraded light display at Atlanta Motor Speedway. Drive through winter wonderlands, under flying reindeer and through dancing light tunnels of over 3 million lights! Don’t miss meeting Santa, enjoying the carnival rides, doing a little holiday shopping, seeing a movie and so much more. The Gordons, the Sapersteins and all of the other crazy folks in Kevin and Allie’s life are back to meddle in the arrival of their first child. See the hilarious holiday production that broke records last season at Stage Door Players, Dunwoody’s professional theatre company.